Almost everyone can remember the wonderful feeling of attending Relay for Life when in middle school – the Fairfield Ludlowe track full of friends, the Luminaria ceremony that always made everyone cry, the music being blasted as the bright lights on the field turned on. The experience was one that you swore you would never forget, but as time went on, you thought that you had “grown out of it.” However, that’s not the case! For those that don’t know, Relay for Life is the signature fundraising event of the American Cancer Society that raises money for all forms of cancer, and the proceeds from the charity event go towards researching a cure, helping cancer patients and their families, and working to make a global impact on cancer. At every event, teams gather to celebrate their hard work fundraising and walk laps around the track until midnight or all night to spread awareness. Fairfield is having its 20th annual event this year on Saturday, June 10th from 3pm-12am, and teams have already started registering and raising money for this wonderful cause. Most people participate in Relay for Life by creating or joining a team. While many don’t think that they can find a team, you probably already have one through your sports, clubs, or other after-school activities. With your team, you can then raise money by asking friends and family for donations or through fundraisers, such as bake sales, hosting movie nights, or getting companies to help sponsor the event. All you have to do to register is go to the newly updated website, www.relayforlife.org/fairfieldct, or click on the link here. From there, everything is easy to follow and you will soon be able to join the community in fighting cancer. On the website, there are links to fundraising tips, chaperone and team captain forms, event announcements, and more. Everything is there to be easily accessed, and if you have any questions, you can easily contact the event organizer, Lindsay Hanley, at lindsey.hanley@cancer.org. By contacting her, she can also put you in contact with the two Youth Champions for the event, or youth outreach leaders, and they can help you by answering questions, providing motivation, and helping you through the ins and outs of Relay for Life. There is also a link to the social media pages for the event, another way to stay updated with the event. Since not everyone can commit to making a team, there are also opportunities for day-of event volunteering. The information for this will come out later, but the best way to participate is to make a team. This makes the event a lot more fun, and it allows for you to make a difference while having fun with your friends. If you aren’t sure about participating or definitely want to join, the Relay for Life season has already begun, and the big kick-off event will officially be Thursday, March 23rd at the Fairfield Museum from 6:30pm to 8pm. 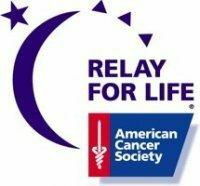 The next team captain and chaperone meetings will be Thursday, March 16th in the Fairfield Ludlowe High School cafeteria from 6pm to 7pm, so now is a great time to find some friends, create a team, and begin your Relay for Life experience for the 2017 year!